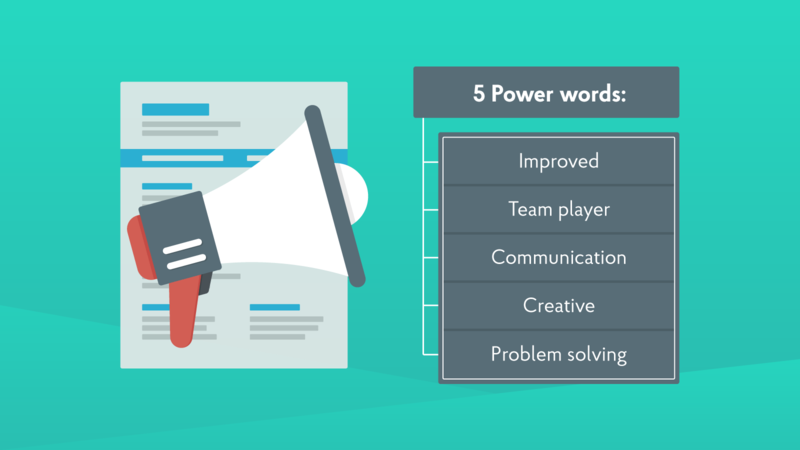 Many job seekers in the world today do not understand the importance of using power words or action words/verbs in their resume and cover letters while sending them off to recruitment agencies. It is a little-known fact that resumes action words go a long way in helping to break the defenses already put up by recruiters while going through lots of resumes. Then you probably have an idea of what is about to be discussed in this post. It is increasingly tiring to sift through lots of resumes and seeing the same words over and over again and it is even more annoying to realize that after going through the stress of giving many benefits of the doubt, it becomes eventually difficult to be able to find the perfect resume in a sea of resumes. Before we go any deeper, let’s take a look at what action verbs are and why they matter as far as your resume or cover letter is concerned. Action verbs are a type of power word that are specific, straight-to-the-point words which describe and clarify your contributions to a project on your resume, this in turn buttresses your ability to succeed at certain endeavors. WHY SHOULD YOU USE ACTION VERBS IN A RESUME? Handled frequent correspondence between various departments. Spearheaded weekly correspondence between the Marketing and Human resource departments to ensure fluidity of campaigns. While the first example is a very weak way to describe that particular role, because the sentence is very ambiguous, lacks strength and isn’t direct, the second sentence, on the other hand, is very detailed and speaks from a direct position of strength. Resume action words are crucial parts of your resume if you’re genuinely interested in getting that recruiter to take more than just a glance at it. But more importantly, using these words appropriately is the easiest way to get into the heart of any recruitment personnel. While writing a sentence which describes a particular responsibility, rather than employing the phrase “responsible for”, it would be better to make use of the word “Improved”. In the above examples, it is very important to take cognizance of the fact that in both scenarios, while the former action words are just okay to use while writing a resume, the latter stands out and exudes confidence, thereby making a definitive statement about the writer to the recruiter. The process of resume writing has become so generic that lots of companies already know what to find in about eighty-five percent of resumes, therefore, the only way in most cases to be able to secure a little bit of advantage is to be fluid with the construction of your resume and try as much as possible to avoid clichés. There are certain word-choices which will earn any resume a fling to the underneath pile in just a simple glance as they are either too underwhelming or too overwhelming. While underwhelming words are not able to appropriately convey the message being passed across in a resume, overwhelming words, on the other hand, are just plain overboard and in most cases largely boastful which is a very appalling quality to recruiters. Some examples of overwhelming words/phrases are: “I’m an expert at…, I’m incredible at…, I have a great deal of experience in…” While the above phrases are very pleasing to he ar, they are more effective while praising oneself rather than trying to apply for a job. While writing a resume, one of the best ways to garner favor is to mirror your resume in the same way the company projects itself which thereby leads to a situation where your power words jump out from the pages and grab the recruiters into submission. The best way to do this is by going to the company’s “About Us” page and single out words which are used to describe the company’s long-term and/or short-term goals. If a company describes herself as “Proactive” then it would be a very brilliant idea to incorporate this word while writing your resume. Although you should also know that buzzwords such as “Innovative” should be avoided as they can be easily mistaken as boastful words which in turn would only earn a spot in the black book of many recruiters. It is also very essential to make use of certain keywords while writing a resume. Apart from the fact that it gives you an edge with recruiters, some companies which receive large volumes of resume would rather use an Applicant Tracking System (ATS) to deal with all their resume and the system is always programmed to look for certain keywords which if they’re found absent will earn the applicant a one way ticket back home, wherever that may be. Examples of such keywords might be launched, planned, programmed, facilitated etc. Another brilliant way to make your resume stand out is to ensure that while deploying your power words and/or action verbs to good use, they are accompanied by concise numbers which accurately demonstrates the level of your contribution in a past endeavor or a previous project. I'll be providing an action verb list in the consequent paragraphs for better understanding. Directed new interns to effectively operate heavy warehouse equipment and increased productivity by 20%. Implemented a new inventory system and slashed production costs by 35%. The above action verbs should be used in accordance with their related industries so as to make your resume perfect and intriguing. Getting that perfect resume just got a whole lot easier with this article and I hope you make use of the tips to the best of your ability. Adherence to the tenets of this writing would definitely help you increase the chances of landing your dream job in no time!